There are very few businesses that can handle international wood trading. We have met one: a European company that has been working in this sector for ten years. Based in Lugano, the company specialises in wood logistics and marketing of wood chips and tree trunks that have been rigorously certified. Krostar markets about 800,000 tons of wood chips and trunks every year. This Swiss company, called Krostar, transports and markets to large industrial businesses an average of more than 40,000 tons of wood per cargo. Krostar has been handling wood logistics and trading at international level since 2006. We have met its CEO, Angelo Alimonti, and we have asked him to guide us through the often long journey that wood makes before reaching those businesses operating in the paper sector and becoming raw material for their products. Every year, Krostar handles the logistics and marketing of around 800,000 tons of wood (wood chips and trunks). The company mainly works with MDF (Medium Density Fibreboard, i.e., medium-density fibre panels obtained from wood), wood biomass used by power stations and, naturally, companies manufacturing cellulose, paper and cardboard. The raw material is rigorously certified and «comes from two main sources: – explains Alimonti – planted forests and woods maintenance. This is why the wood we market has certificates of origin and plant protection». The wood comes mainly from pine trees that accounts for over 90% of the wood processed by the company and requires a 10-year growth cycle – at least in South American climate zones – as well as vast expanses of land so that the soil can rest and regenerate before re-planting after cutting down the trees. This type of wood is used to manufacture kraft paper and, therefore, for flute paper and paper for packaging. Eucalyptus, another type of wood marketed by the Swiss company, is suitable for other uses and has a faster growth cycle of around four years. «Our added value is efficient logistics enabling large-sized single transports» Angelo Alimonti, Krostar CEO. The wood trade takes place through different routes to and from Europe and has had to face many changes in the political and market balance during the long years of economic crisis. Krostar markets wood from the United States that, above all, is for the Turkish market (at least for the time being), and from Ukraine which, through well-organised logistics, mainly supplies the European markets. Up to a few years ago, Venezuelan wood was sold in these markets. However, the company decided not to use this trading route any longer because of the country’s political instability and other problems to do to with domestic handling of port traffic. 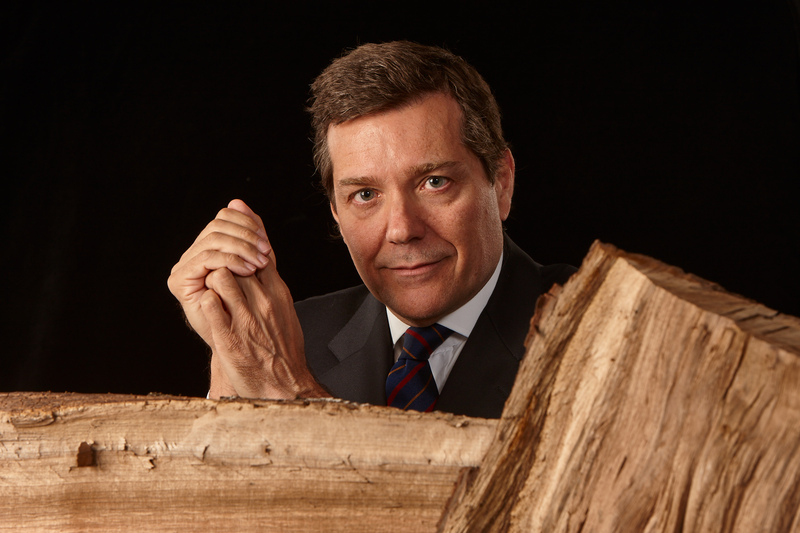 «It was in Venezuela – recalls Alimonti – that we did what we could to obtain FSC certification for the local wood. We achieved this in a few days thanks to the excellent way that local forests were organised. Venezuela has the largest forest of Caribbean pine trees in the world with almost 800,000 well-structured hectares». During the global economic crisis, even the closest routes were affected. In 2009, difficulties arose in Turkey that stopped all imports; this occurred again in 2013 with the umpteenth collapse of trade due to a financial crisis in the country. The market seems to have recovered now and the Swiss company has been able to end 2015 with excellent results. «Projections for the current year are positive – says the company’s CEO – and we are planning to further expand our trade in Europe. We are working on opening a branch in Ukraine near Odessa with a team of fifteen people handling exports to European countries. 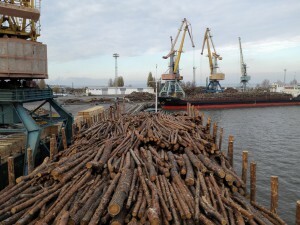 The objective for 2016 is to handle about 300,000 tons of wood from two different ports. This will enable us to become one of the major exporters in the country. We also have another objective: opening in Ukraine a wood chip manufacturing company». For 2016, the company plans to have a turnover of 80 million dollars and market 1 million tons of wood. The new Ukrainian branch will mean that Krostar will have more paper-manufacturing companies in Europe as customers. The old continent is affected by limitations on wood imports from the States, soft wood to be precise. Alimonti hopes that in a couple of years these limitations will be removed. «Our major European paper customer is based in Austria and used to import about 7 million tons of wood every year mainly from Venezuela». As that route was discontinued and the licence had to be surrendered, the company had to give up that customer. «However, thanks to our plans in Ukraine, trade relationships with this important paper company will be resumed; we are planning to start working together again from next summer». The intention, however, is to expand even further and have more European customers to sell its wood to. «Competition – explains Alimonti – revolves around the size of cargoes. Cargoes from Ukraine are smaller; we handle ships with a tonnage of around 2,000 tons which are more attractive to customers in the paper sector». A pillar of Krostar’s policy is the choice to only market certified wood in line with FSC, the international standard that guarantees its provenance from either plantations or forest maintenance. 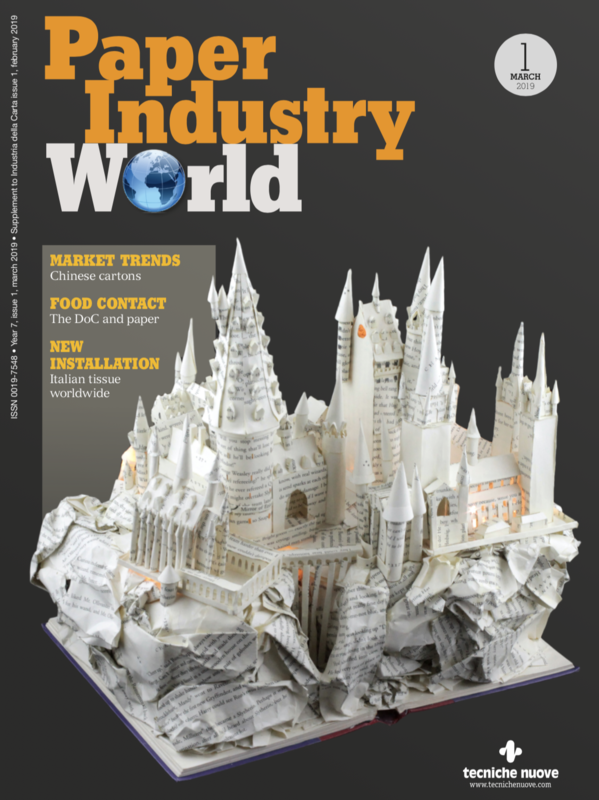 «We only work with suppliers who comply with these requirements», points out Angelo Alimonti. «This year our company will set off the FSC certification process. It is a procedure entailing additional costs – in terms of commitment and time too – and is not compulsory. However, we believe that it will give some added value that will benefit our customer base but will protect the entire supply chain». Wood certification is as important as it is necessary and helps preserving our planet’s forest resources while fully respecting natural cycles. According to data contained in FAO’s latest report, The global forest resources assessment 2015, over the last 25 years, the net rate of deforestation went down by more than 50% and in many countries management of forest resources is improving. Moreover, according to the report, planted forests to produce wood, where well managed, contribute to the reduction of pressure on natural forests. Previous articleIs the Collapse that Started in January Coming to an End?